Shoot McMahon (シュート＝マクマホン, Shūto Makumahon?) 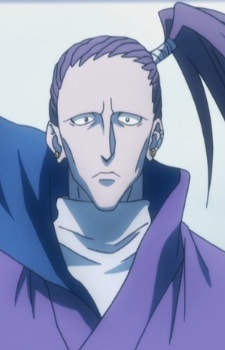 is an Unidentified Beast Hunter, Knuckle's partner, and the second disciple of Morel. He has a timid personality and is often afraid of taking advantage of opportune times to attack his enemy. When the fight begins with Youpi, he becomes inspired by Gon and is able to fully unleash his power, overcoming his timidness and injuries.